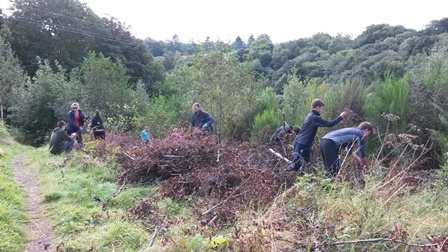 On the 11th of September our group went up to Gore Glen and cleared a place around a path on the site. We made little bushes for animals to make a home in too. We then went down to the stream and split into two groups and made little rafts out of things around us and the other half went on a walk to learn about the site. We then swapped. Once the other group got back we used the rafts to see who’s was best. 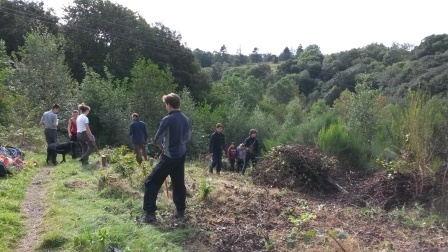 Then after watching them float of down the stream we went back to the place we started at and began clearing another part of the path. After half an hour we finished up and left the site.